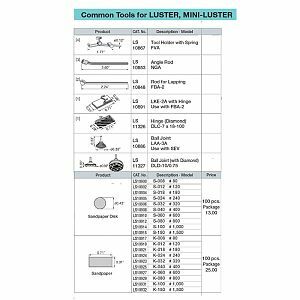 Common Tools for the Luster, Mini-Luster and Swing Luster. sold in 100 piece packages. the Rectangular Sheets use with LKE-2A.